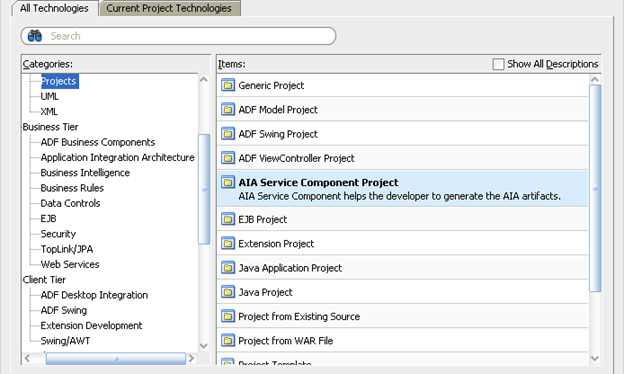 A key feature of AIA is ability to call extension service from ABCS. This makes ABCS more flexible for futures changes mean it provide customer the ability to extend the ABCS without customizing it. This applies to both Requester and Provider ABCS. Number of extension points in ABCS depends on exchanges pattern (request-response or fire- forgot). 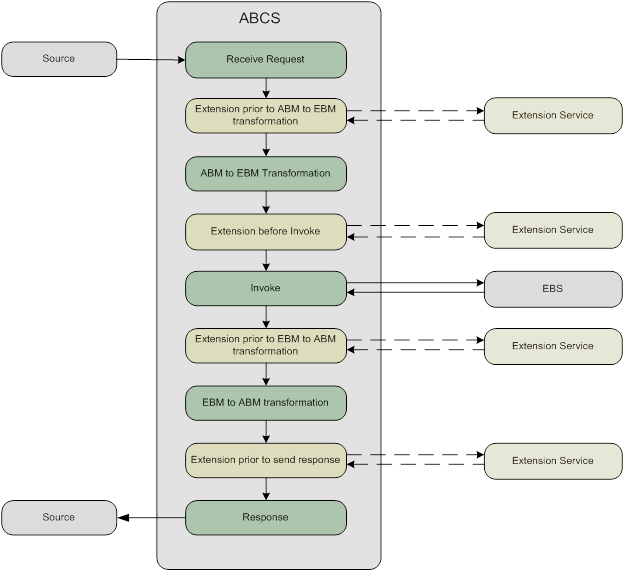 ABCS support four extension points in request-response irrespective its synchronous or asynchronous mode. 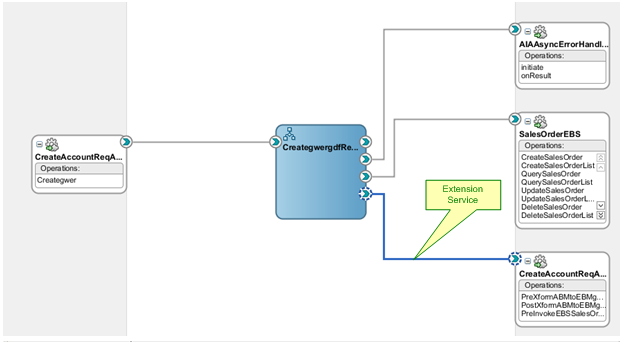 Below is example of request-response ABCS with four extension points. Extension prior to ABM to EBM transformation. Extension prior to EBM to ABM transformation. Extension prior to send response. Follow below steps to design extension enable ABCS. Start creating ABCS with service constructor. Click on the “Option” button in Target Service Details window. This will open a new window. 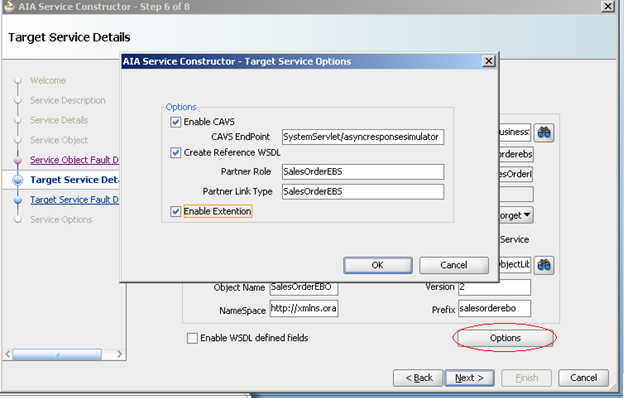 Browse and select the WSDL required for Extension. 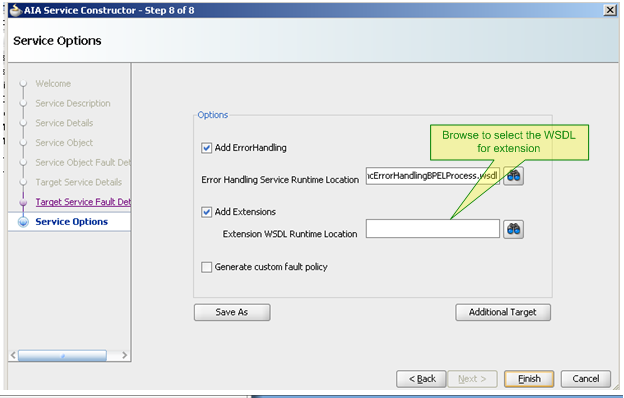 If you don’t have any WSDL file then you can choose any runtime WSDL file. This will create ABCS having extension enabled. 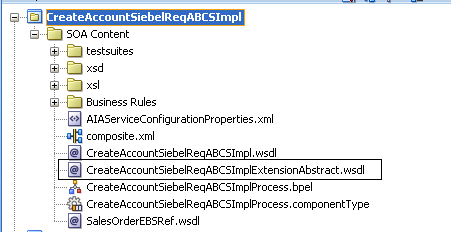 Also this will create one Abstract WSDL file which we use in next post to extend this ABCS. 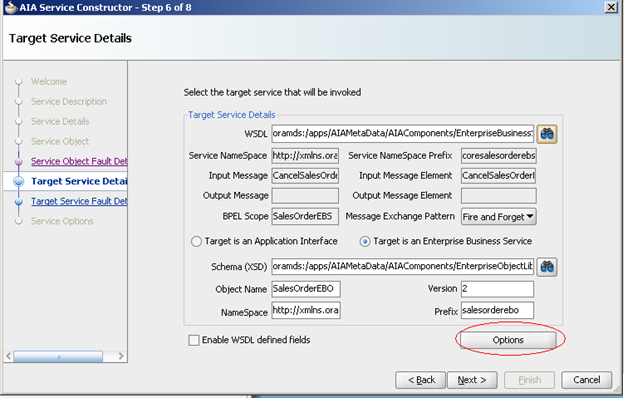 In service configuration properties you can see four new properties. These properties used to turn on or off extensions. Go through next post which explains what steps we need to follow before deployment of extension enabled ABCS means completing Extension enabled ABCS.